As of July 1, we are officially students of Armstrong State University. Atlantic, to the dismay of some, is no more. Faculty decided that in order to minimize confusion and create a stronger brand for the University, it was time to drop Atlantic from the title. Originally implemented in 1996, Atlantic was added to the school’s name in hopes of giving off an individual (and rather appealing) sense of geological identity. Unfortunately, over the years, the name seemed to confuse rather than entice people. While the name may be getting smaller the school itself is doing the complete opposite. With over 7,000 students enrolled in classes, Armstrong is getting bigger every year. So, it was decided that the name should be shortened so there would be no confusion as to where or what the school is. With over 10-percent of students coming from out of state, and another 2-percent coming from other countries entirely, it is important that there isn’t any confusion about the school. Hopefully, this name change will resolve the issue. A survey was conducted around campus last year, which asked students and faculty how they felt about the name change. The majority of the people that participated in the survey said that they supported it and/or didn’t have an issue with it. While the change seemed necessary, a certain sense of romanticism was lost. Armstrong Atlantic State University and its acronym AASU were both as unique as they were grotesquely long, but it was time for something simpler. Devin Close, another senior at Armstrong had an interesting perspective about the name change: “You can change the name, but Armstrong will always be on the Atlantic.” Whether it’s in the name of the school or not, we’re still just a quick trip away from that beautiful coastline. You can take the Atlantic out of Armstrong, but you can’t take Armstrong away from the Atlantic. This is going to be a big year for Armstrong, and this is only one of the many changes that will soon be taking place. With renovations, expansions, and overall growth, the school has a lot to look forward to and a lot to prepare for. 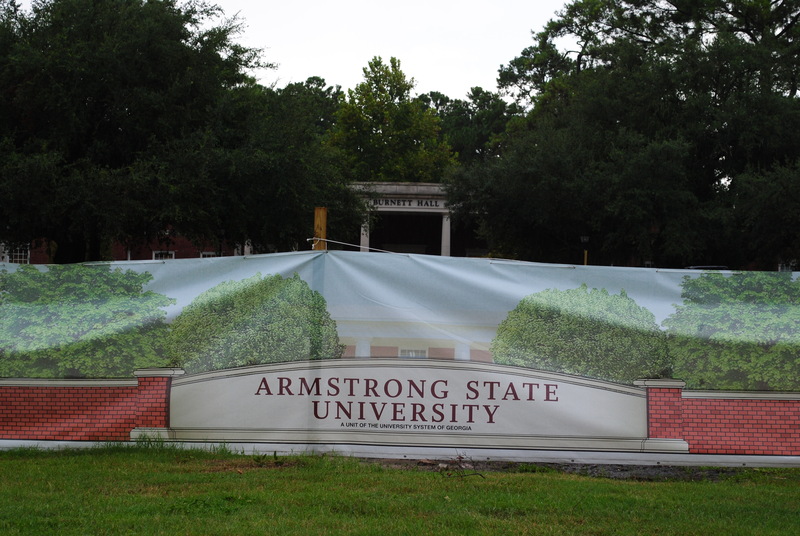 With that being said, welcome to the new and improved Armstrong State University.